1. Call of Duty: Advanced Warfare. Call of duty is one of the popular fighting game. The game provide you the attractive graphics and real looking graphics so that you think that you are in real War. You need a best Quality graphic card with large video RAM to play this game. The game is based on Military operation with new technology weapons. This game was released for Windows, PS4 and Xbox. The game offer you different challenging mission with the increased difficulty in each level. You should play this game at least one and i guarantee that you would like its graphics. 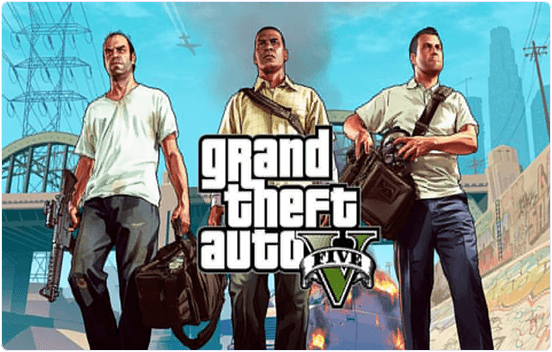 Grand Theft Auto V is another popular high quality graphic game which is developed by Rockstar Games. GTA V is top in all graphic card games for PC. Its advanced version is released on November 2014 for the PlayStation 4,Windows and Xbox. The game provide you attractive graphics and you need a graphic card to play this game. The game is based on Thief character that do different mission for money. In the mission your thief is free to move anywhere in the city and can take different weapons, Cars, truck, other vehicle and can do fight with others. The game also offer different cheats to make it more interesting. Battlefield hardline is most popular game played with the help of graphic card. It offer you the high quality and attractive graphics. This game is developed by Visceral Games in March 2015. It is designed for Windows, Playstation 3, Playstation 4 and Xbox. This game focus on the fight against militant. The games are played in different modes like Rescue, bloodmoney, hotwire, crosshair mode. Each mode offer different mission and our player can access different weapons, military vehicle etc. The militant also have different weapons to compete with us. You should try this game at least one and enjoy attractive interface and graphics. 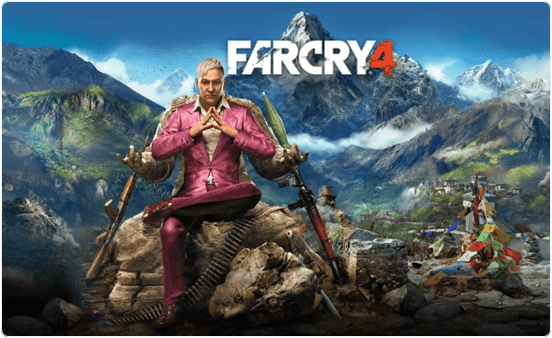 Far cry 4 is also a adventure game which offer you a high quality graphics. It is a most popular shooting game. In this game you have to fight with enemy soldiers and wildlife animals. The game offer you different scenes of valleys, forests. hills etc. The game offer you a different types of weapons like sidearms, knife, Guns, heavy weapons like rocket launchers, machine guns etc. The weapon can be buy from the shops and take it from the fallen enemy. The game divide the area into north and south parts. The player start from the north and move towards south after facing different challenges. You should try it ones and enjoy its missions. 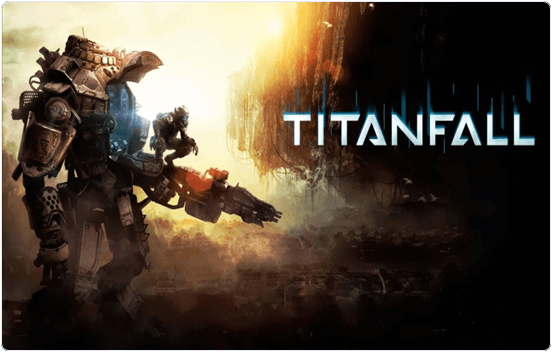 Titanfall is another popular choice for high quality graphic games which is played with help of graphic card. Titalfall is most popular in all graphic card games for PC. In this game the player have to control a robert called titan and fight with other enemy titans. The game offer you the realistic graphics. It was released for Windows, Playstation 3,4 and xbox by Respawn entertainment. In this game you are offer different missions and your titan is loaded with different advanced weapons. The also support multiplayer mode over internet allow you to compete with other players. 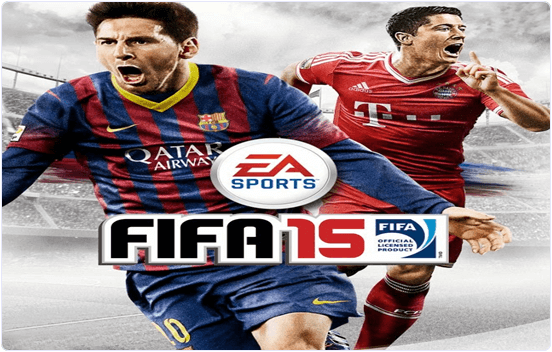 Fifa 2015 is one the most popular football sports game. In this game you have to choose a football team and follow the same procedure as followed in the fifa world cup. This game is really for true football lovers. In this game you can also compete with other players in multiplayer mode. This game offer you more attractive graphics as you feel you are watching the football match. In this game teams are divided into various groups and each group have one team at last to play semi final and then final match. If you like sports games then you should play it once. 7. Need for Speed Rivals. 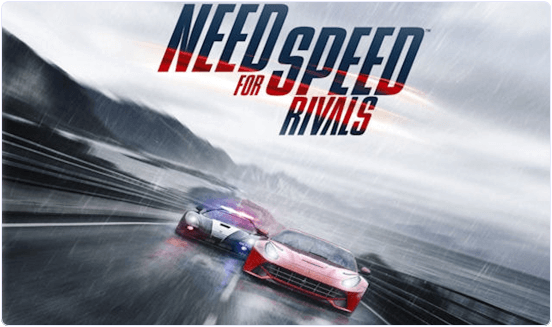 Need for speed Rivals is another popular high graphics Game. This is game for those players who like Car Racing. In this Game we have to compete our rivals in car racing. In the racing we get boost to increase our car speed and we can also destroy our rival car. As the level increased amazing cars with high speed are unlocked. The Game offer you the Attractive scenes of forests, valleys, Roads, mountains etc with high definition Graphic and we feel like we are sitting in real car racing. 8. Tom Clancy Rainbow Six Siege. 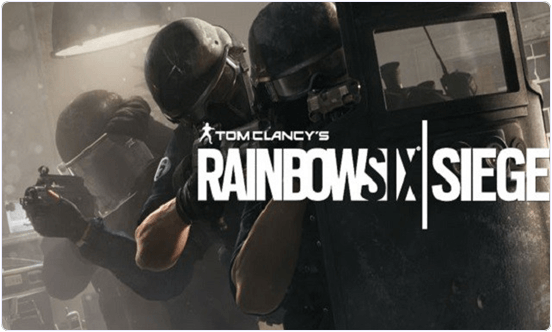 Tom Clancy RainBow Six Siege is one the upcoming popular shooting, fighting and adventure game. The is coming in OCT, 2015 and is one the high Quality Graphic. In this Game your player have to do the different missions bypassing the high security. The Game also allow to play in team and offer Attractive graphics. In this Game you have to play against terrorist. You have various weapon to compete your enemy. You should try this game after release The game is available for PC, Playstation 4, XONE etc. 9. Rise of The Tom Raider. It is one of the wonderful game in the list of Graphic Card games for PC. It offer Stunning hd graphics with more realistic game play. It has a resolution of 1980 X 1080. It is a combination of action and adventure games. It is available for Windows, Playstation 4 Xbox 360, Xbox one etc. It was released for Windows on 28 January 2016. In this game we have to play the role of Lara Croft or control Lara Croft through various battling enemies, environments, puzzling situations. We can use various weapons and gadgets in order to progress in the story mode. The also provide a crafting system that allow the players to make different items like different arrows like fire, rope, poison etc. 10. Tom Clancy’s The Division. It is another best game in the list of best graphic card games for PC. It is a combination of action and shooting games which was released on March 2016. If you want to really enjoy this game then you need minimum 2 gb graphic card. It is a third person shooter video game which is available for Windows, PlayStation and Xbox. In this game the division take place in the mod crisis Manhattan which is an open destructive world to explore for player. As the game progress the player get more experience, money and points. We can buy new weapons with money and get new talents with points. These best graphic card games for PC with high graphics which are latest till date. We will update upcoming graphic card games for PC when they will available in market. In case we miss any best PC graphic games must leave your precious comment.